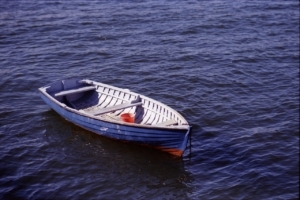 Home » Has the Insurance Industry Missed the Recruiting Boat? All of us in the industry responsible for training and recruiting are working as hard as we can to attract new Millennials to our business. Focusing on colleges, we’re teaching, recruiting, interning and trying our hardest to attract new candidates. Sadly, our insurance classes are lucky if they have ten students. Maybe our industry has missed the boat. In 2008 – 09 when the economy tanked, the insurance industry missed a great opportunity. When the economy dissolved, the first thing to crash was the construction industry. What if our recruiters had focused on cherry picking construction managers, loss prevention personnel, estimators and other construction personnel who suddenly found themselves jobless? We wouldn’t be having the claims talent crunch we now face, at least in the property arena. Our industry should be selling our benefits: Good health insurance, stability (we’re virtually recession proof), great career pathing, solid entry level pay, stable schedules, college tuition reimbursement and other benefits, to those stuck in jobs without these strong benefits. Perhaps instead of colleges we should focus our recruiting on customer service positions such as hospitality and human services positions, “poaching” those with strong customer service skills into a career where, each day, they will make a difference in people’s lives. That’s what today’s workers say they want: To make a difference. Don’t let’s miss the boat. The industry estimates that by 2020, we will have 400,000 open jobs. As I said a few weeks ago on an Insurance Journal Academy webinar when I spoke with other insurance training professionals, without new talent, our industry will be hamstrung. Let’s think outside the college box and recruit from other professions. With solid customer service experience, some on-the-job problem-solving experience and a great attitude, we can teach them insurance. Who’s in?